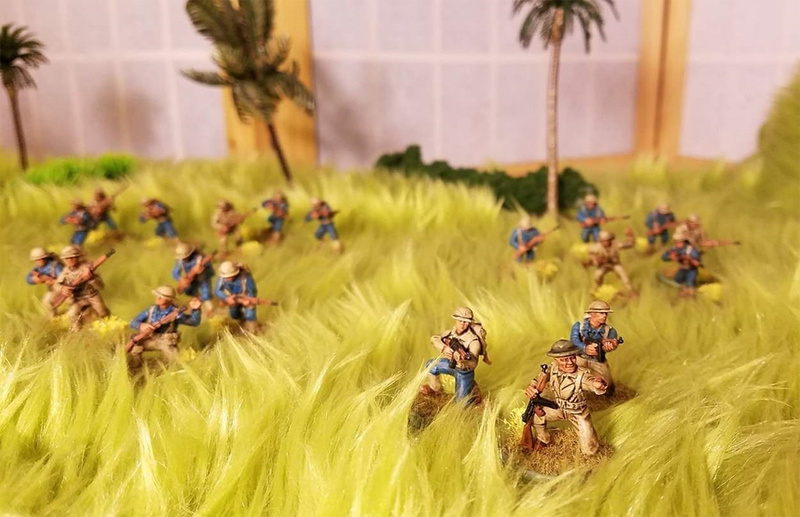 We’re always excited to see your miniatures – this week, we’re heading to the Philippines with Robin Dao’s Battling Bastards of Bataan! In the Philippines, two Japanese divisions – the 16th and the 48th under General Homma Masaharu –landed on the island of Luzon on 22 December. US General Douglas MacArthur had spread his forces thinly around the coastal areas in an effort to defend every approach. The overstretched defenders could offer little more than token resistance to the landings by elite SNLF and IJA units. defensible obstacle on the road south to Manila. The next day MacArthur issued orders to fall back to the Bataan peninsula and moved his headquarters to the fortified island of Corregidor in the mouth of Manila Bay. Manila itself was declared an open city in the hopes it would be spared from the kind of atrocities committed in China. 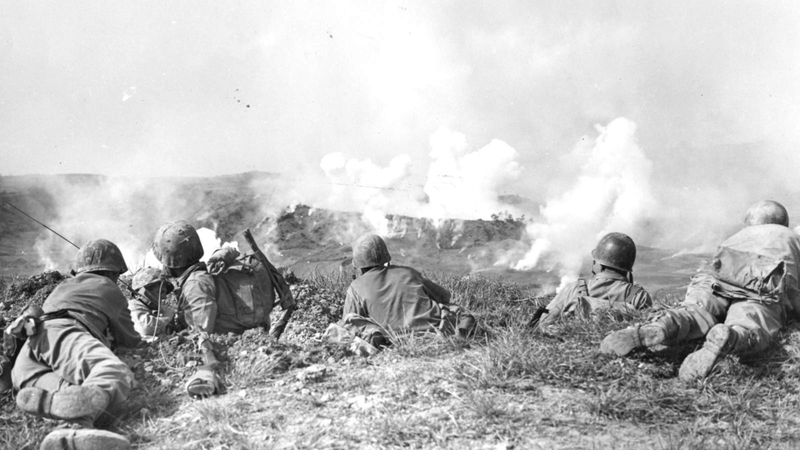 US personnel during the battle of Bataan. On 24 December a second Japanese force, 7,000 strong, landed on the east of Luzon and began pushing towards Manila, threatening to cut the defenders in two. US and Filipino troops had to retreat 150 miles through jungles and mountains to avoid encirclement with the Japanese snapping at their heels every step of the way. Philippine Scouts performed outstanding service as a rearguard during these actions. On 16 January 1942, they performed the last cavalry charge in US military history during an encounter battle with Japanese troops on entering the village of Morong, successfully driving out the larger IJA force and holding onto the village for several hours. 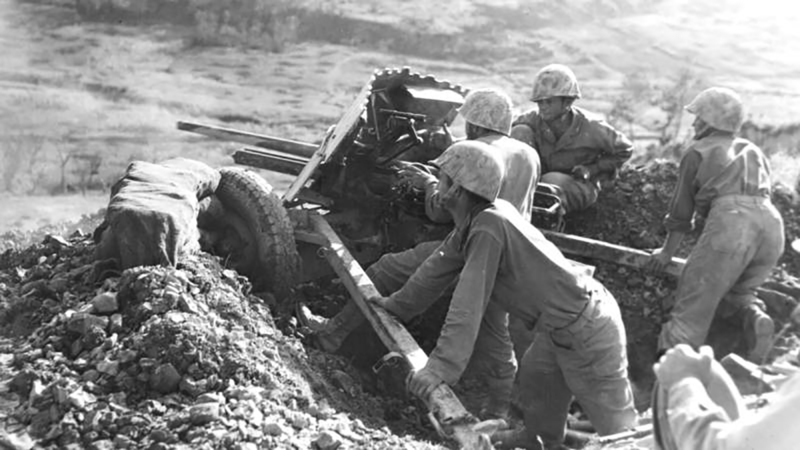 The defenders of Bataan prepare for the Japanese assault! Morale on Bataan was rock bottom. The men felt abandoned by their government and christened themselves “the battling bastards of Bataan” with “no papa, no mama, and no Uncle Sam”. However, the American and Filipino troops still continued to resist fiercely as they were pushed slowly back towards Corregidor. During the lull in fighting General MacArthur was ordered to Australia as he was considered too important a figure to share the fate of his ultimately doomed command. In March it would be announced that MacArthur would receive the Medal of Honor for reasons few left behind on Bataan could quite understand. However, back home the legend of the Lion of Luzon had fired the public imagination at a terrible and frightening time. Robin Dao’s platoon represents a unit of the 26th Cavalry, accompanied by units of Philippine regular infantry. The infantry has been converted up from our fantastic US Infantry plastic kit, with the addition of some of our metal Gurkha heads and some custom sculpted sun helmets to match the Philippine uniform. Robin has converted three 8-man cavalry squads using Perry Miniatures models, along with some dismounted scouts and his Philippine regulars. 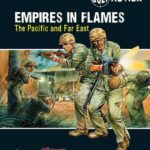 If you’re looking to join the defence of the Philippines and stave off the Japanese assault, you’ll need the Empires in Flames supplement – packed full of new units and force selectors to represent the first battle of the Philippines. Once you’ve got the book, grab a US Army, US Marine or Imperial Japanese starter army and get some games in! Adding Philippine units to your US force is easy – grab some of the Gurkha heads in Brodie helmets and swap them with the plastic heads on a US Army sprue, or ask a mate with some Afrika Korps sprues if you can have some of the sun helmets for your Philippine natives. Have you got an army to show off or an article on your favourite Warlord game that you absolutely have to share with us? Drop the Web Team a line using [email protected] and we’ll see what we can do about showing off your creativity! We’re going to close out this article with a little song, devised by besieged US troops at Bataan, sung to the tune of the Battle Hymn of the Republic. 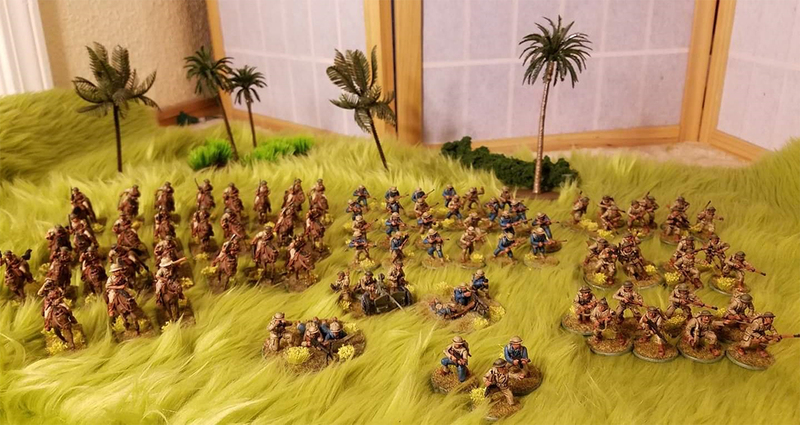 The post Spotlight: The Battling Bastards of Bataan appeared first on Warlord Games.